British Columbia Premier Christy Clark says there must be changes to the new federal health-care funding formula or B.C. will suffer unfair economic hardship due to its rapidly growing senior population. B.C. Premier Christy Clark says announced changes to federal government health-care transfers to the provinces won’t work for British Columbia, where a rapidly growing senior population is dramatically increasing medical costs to the province. The federal finance minister announced last month that after the 2016-17 fiscal year, Ottawa will institute a change in the per-capita funding system that would be tied to Canada’s gross domestic product, but is guaranteed to be at least three per cent. The annual health-care funding increases to the provinces are currently six per cent. Clark told CBC News Friday that provinces will need "an age-adjusted per capita formula implemented" in order for the federal plan to work sufficiently. 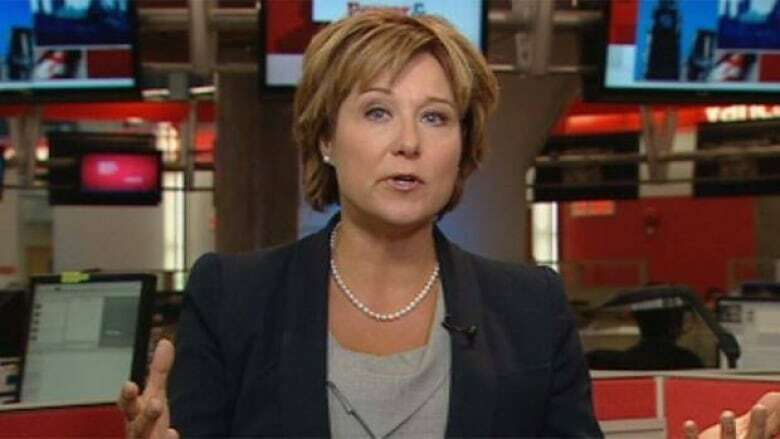 "You cannot allocate health-care dollars on a per capita basis until you adjust it for age," Clark said in Vancouver during an interview with Rosemary Barton on the CBC Newsnet program Power & Politics. "You just can’t run a country or look after senior citizens [unless] that’s the way you do it." "It costs an average $22,000 a year for health care for someone who is over 85 versus $2,000 for someone who is 29 years old," the premier said. B.C. Finance Minister Kevin Falcon said B.C. would lose as much as $250 million a year under the new formula as it's currently conceived. Clark said the issue has to be resolved or economic balances in the country could be disrupted. "We’ll be looking at a massive change, migration of money across the country from provinces where many older people live to provinces where many younger people live." "They are going to vacate the policy field … which provincial premiers have been asking for for something like 30 years, [to] do the policy in health care. So I think that’s a great thing." Clark was speaking in advance of a meeting of Canada’s premiers this weekend. The Council of the Federation meeting begins in Victoria Sunday. P.O.V. | Should the government cut its health transfer spending levels?